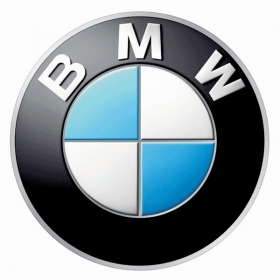 BERLIN (Bloomberg) -- BMW AG and Daimler AG's Mercedes-Benz, the two biggest makers of luxury vehicles, projected higher fourth-quarter sales on surging demand in China. BMW, the luxury leader, today forecast a “double-digit” percentage rise in fourth-quarter deliveries after overhauling the 5-series sedan and wagon. Mercedes said it was “very confident” about continuing growth in the final three months after a record September, when the manufacturer introduced updated CL- and R-class models. Luxury-car sales are rebounding from the financial crisis, when wealthy consumers held back on flashy purchases. BMW and Stuttgart-based Mercedes are both targeting 10 percent sales increases this year. Volkswagen AG's Audi forecasts record sales in 2010, boosted by the new A1 subcompact. “This new volume model will give us extra momentum in Europe in the fourth quarter,” Peter Schwarzenbauer, Audi's head of sales, said in a statement yesterday, adding that A1 capacity was increased 20 percent for 2011. Audi, which aims to topple BMW has the luxury leader by 2015, increased deliveries by 16 percent in September to 102,650 vehicles. BMW sales last month rose 17 percent to 142,950 cars and SUVs, while Mercedes posted a 13 percent gain to 118,600 vehicles. The booming Chinese economy is fueling demand. Mercedes' sales surged 98 percent in China to 13,500 vehicles in September. BMW deliveries jumped 89 percent to 15,379, while Audi, the luxury leader in China, posted a 45 percent gain to 22,125 autos.